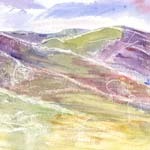 Sue was born in south­west Essex though spent the first 6 years of her life living in Derbyshire, Lincolnshire and Northumbria. 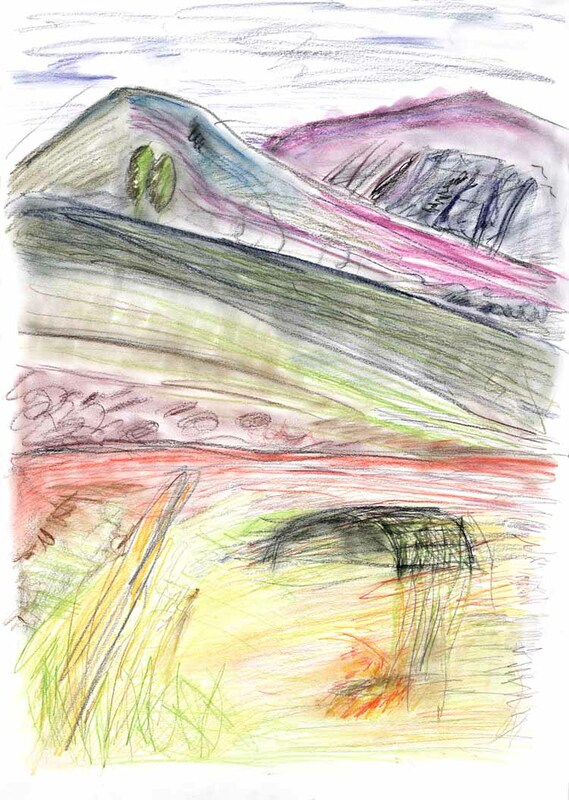 Something about the wilder landscapes stuck with her and when she returned to London for Primary and Secondary schooling she spent a lot of time looking out of classroom windows at trees and the sky. 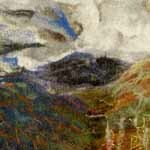 She studied Fine Art at evening classes and then, in her early 20s, went to North Staffordshire Polytechnic with the aim of developing as a Painter. 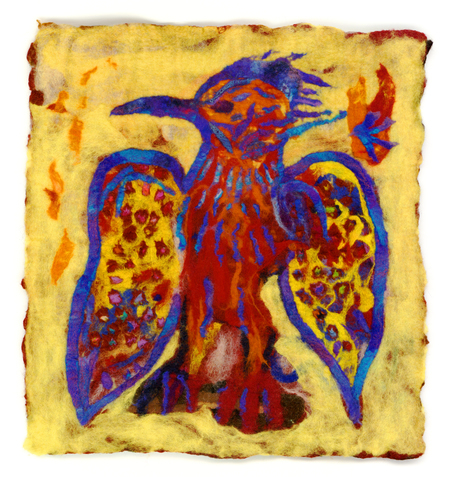 After her degree course she came back to London, and whilst raising her children organised and ran Children’s Art Clubs and taught adults Feltmaking. 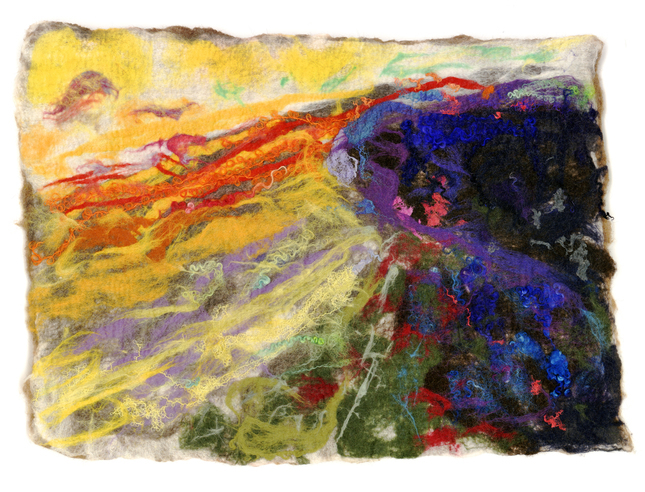 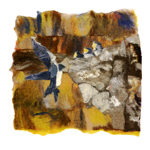 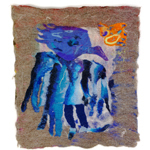 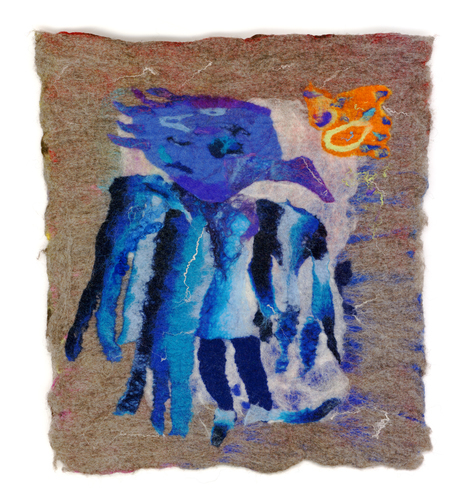 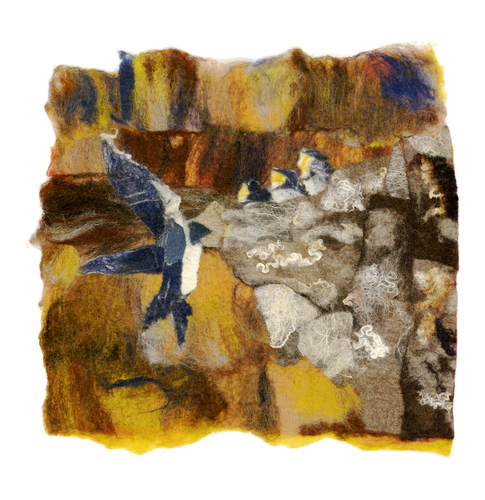 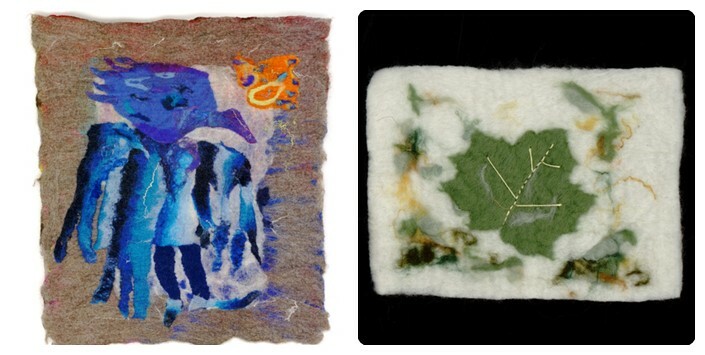 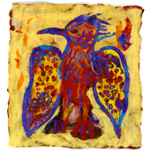 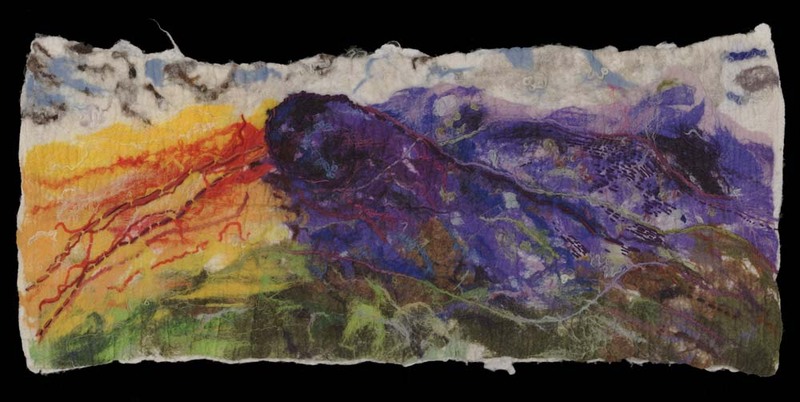 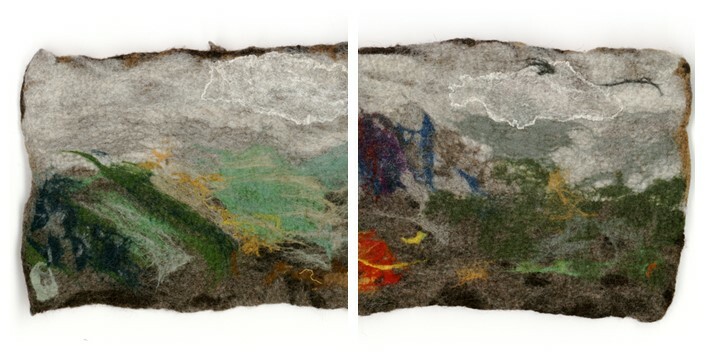 It was over 20 years ago that she discovered Feltmaking and although she’s used many different felting techniques she is concentrating, now, on ‘wet felted’ wall­hangings. 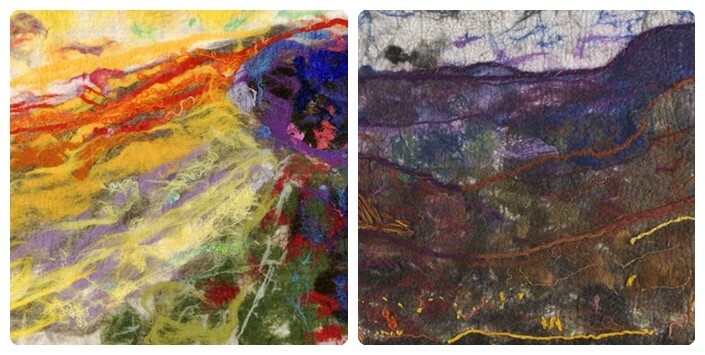 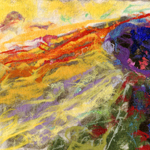 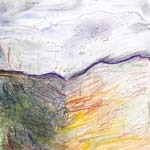 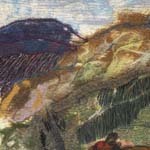 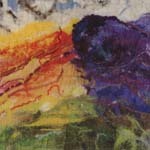 Her love of colour and texture is self­evident in these works. 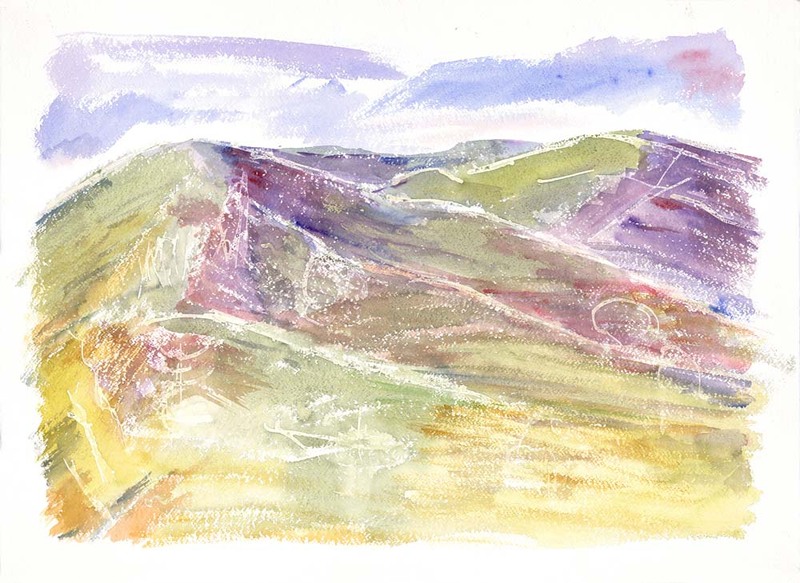 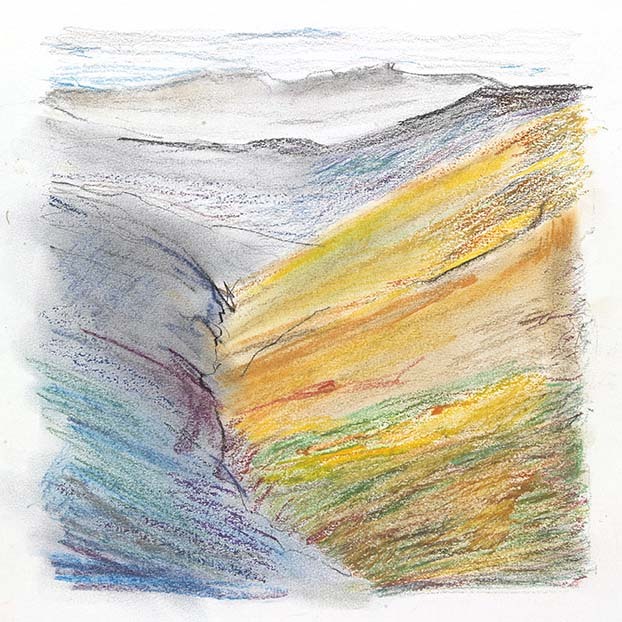 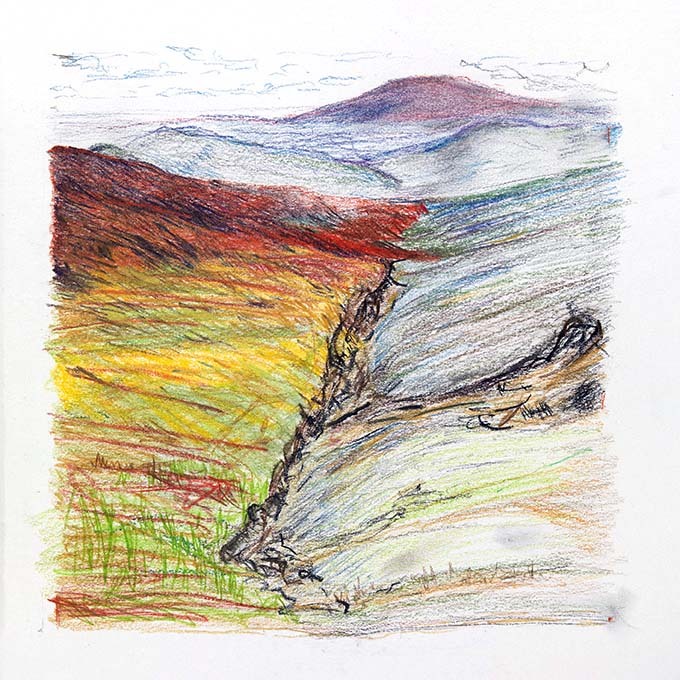 After a soaking wet holiday in Wales, with her husband and one year old daughter, she had become enthralled by the wild landscapes around mid­Wales. 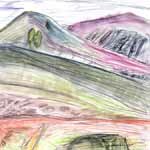 In 2005 the family made their ‘Great Escape’ and moved to a tiny village, part way up a mountain. 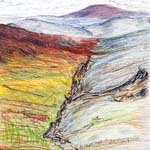 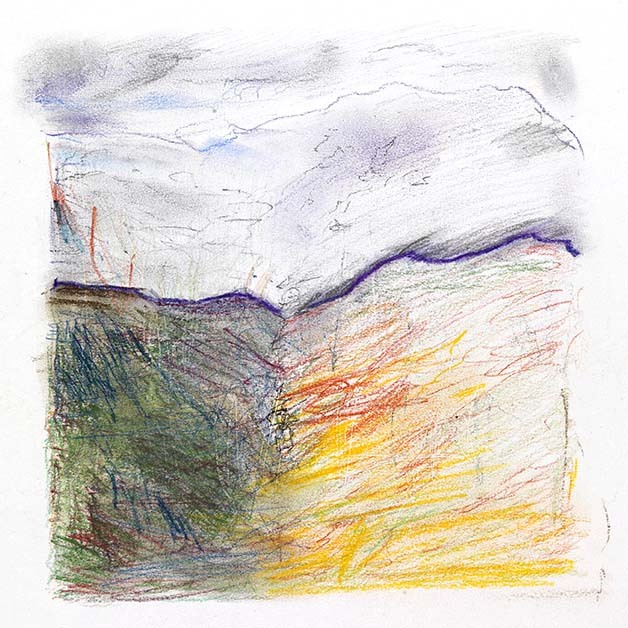 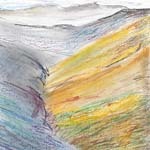 From here Sue can walk or drive up onto the mountain and use a variety of materials (pastels, watercolour or oils) to record the awe­inspiring beauty and colours of the Land. 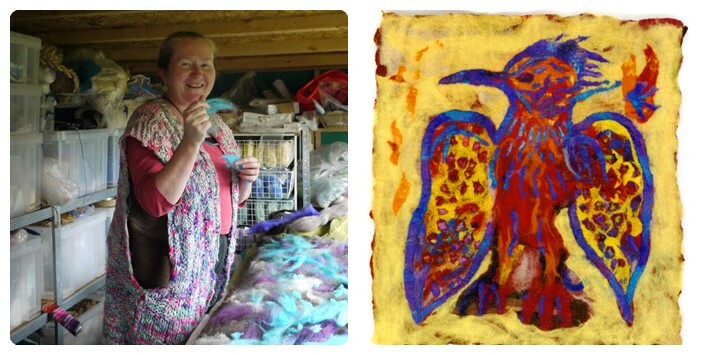 From 2005 to 2009 she taught Creative Textiles for Lifelong Learning, Aberystwyth University and from 2006 to the end of 2014 she taught various Art and Craft courses for WEA Cymru. 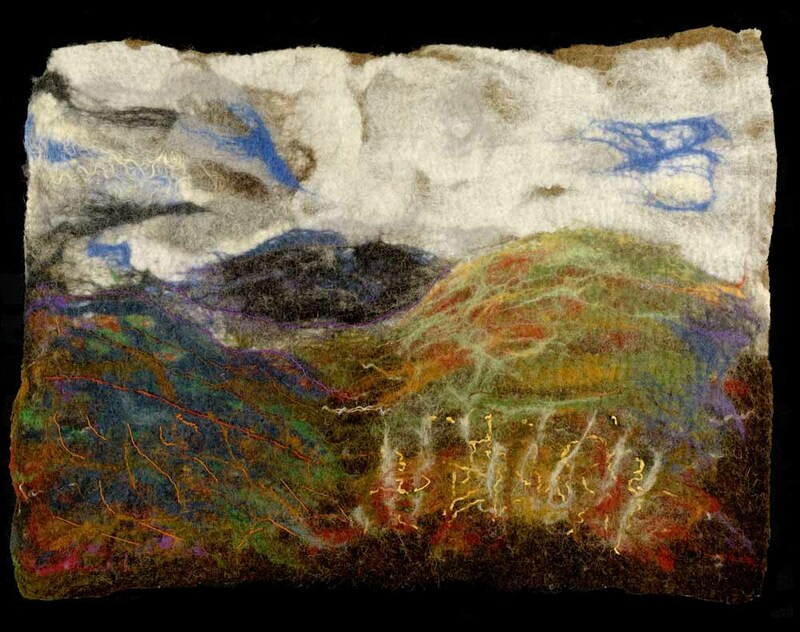 She ran Feltmaking workshops for adults and children and may do so again though currently her own work is her focal point.